We are committed to work for the betterment of Psychology and Mental Health. We are working to promote these issues. We aware the populace about the issues related to mental health so that they can get the right information and get rid of misconceptions and superstitions. We commit to make Psychology as an academic discipline to flourish by generating discourse and interest in the subject. We promote the proper application of psychology in practical basis .And encourage people to talk about Psychology and Mental health . Anything and Everything related to Mind and Psych. 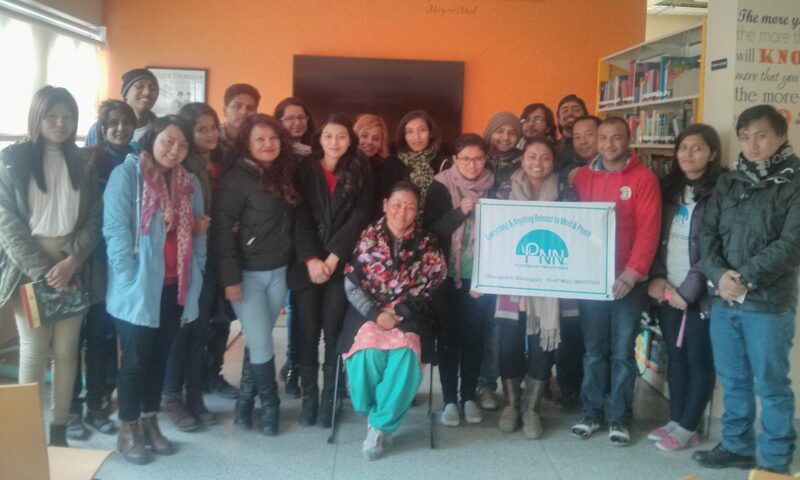 Psychbigyaan Network Nepal envision the society where Mental Health is not stigmatized . We aim to promote the psychological knowledge and perspective in Nepal. We encourage everyone to talk about the issues of psychology and mental health work about them. Lets talk about Psychology and Mental Health.